A new generation is stepping into the workforce. Are you ready for Gen Z? Generation Z is entering the workforce, bringing with it a tech-first mentality that will propel businesses further into the digital era while potentially deepening the divide among five generations in the workplace. According to global research commissioned by Dell Technologies, post-millennials – those born after 1996 and known as Gen Z – have a deep, universal understanding of technology and its potential to transform how we work and live. 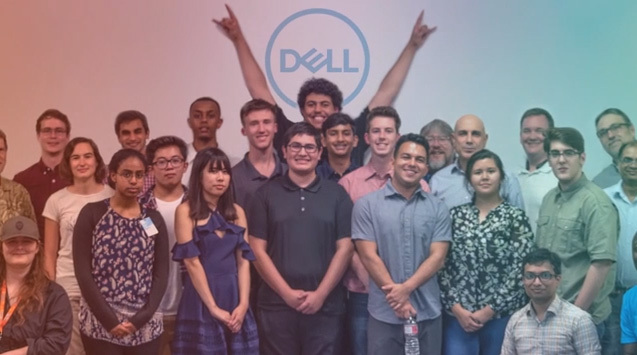 "It's almost a given that these digital natives have advanced technology and data science skills, but what is surprising is the level of digital maturity they are bringing to the workplace," said Danny Cobb, corporate fellow and vice president of Technology Strategy, Dell Technologies. "Yet we haven't raised a generation of robots. Gen Z sees technology not only as a tool for enabling human progress, but also as a means for leveling the information empowerment playing field. Their combination of vision and optimism is remarkable." An overwhelming 89% recognize that we are entering the age of human-machine partnerships: 51% of those surveyed believe that humans and machines will work as integrated teams, while 38% see machines as tools for humans to use as needed. While most Gen Zers are confident with their technical prowess, they also worry about having the soft skills and experience that employers are seeking. Seventy-three percent rate their technology literacy as good or excellent and 68% say they have above-average coding skills. Even more telling, 77% are willing to mentor an older coworker who may be less experienced with technology. Yet nearly all new grads (94%) have some concerns about future employment. With up to five generations now in the workplace, businesses must help workers find common ground as they push to create a digital-first culture. Cross-functional teams with complementary skillsets can encourage knowledge exchange and a fresh approach to problem-solving. Internships, rotation programs and other early-career development opportunities can help young professionals gain experience and develop soft skills on the job. And reverse mentorship programs can enhance technical competencies throughout an organization, with Gen Z leading the way. "At Draper, we thrive on cross-discipline collaboration. It's not unusual for us to bring together military experts, rocket scientists and students from area universities to solve some of the world's most complex challenges," said Mike Crones, CIO at Draper. "In these scenarios, the student provides a unique perspective to solution development. Many of the technologies we work on are highly interactive and Gen Z brings a curious, user-first approach that we might not otherwise consider." Although they have interacted with electronic devices practically since birth and grew up with social media, Gen Z yearns for more human interaction in the workplace. "Today's young professionals grew up in a collaborative educational environment and they are bringing those same expectations to the workplace," said Maribel Lopez, technology industry analyst and strategic advisor at Lopez Research. "Though face-to-face communication isn't always possible in today's modern workplace, immersive technologies are enabling all types of workers to collaborate in both the physical and virtual worlds." Added Cobb, "Ultimately, those organizations that create a workforce in which all generations are supported will thrive in the era of human-machine partnerships. An integrated workforce is an empowered workforce, one that can help their organizations transform and succeed in the digital future." This study was commissioned by Dell Technologies and undertaken by an independent research firm. From August to September 2018, Dimensional Research conducted an online survey of students attending secondary and post-secondary school in 17 countries around the globe. The survey was translated into 12 languages and more than 12,000 individuals aged 16-23 completed the survey. The study is one of the largest of its kind to gather hard data on current attitudes and opinions on technology and the workplace among Generation Z students who will be entering the workforce in the coming years. Dimensional Research provides practical market research to help technology companies make their customers more successful. Our researchers are experts in the applications, devices, and infrastructure used by modern businesses. We understand how corporate IT and technology organizations operate to meet the needs of their business stakeholders. We partner with our clients to deliver actionable information that reduces risks, increases customer satisfaction, and grows the business. For more information, visit dimensionalresearch.com. 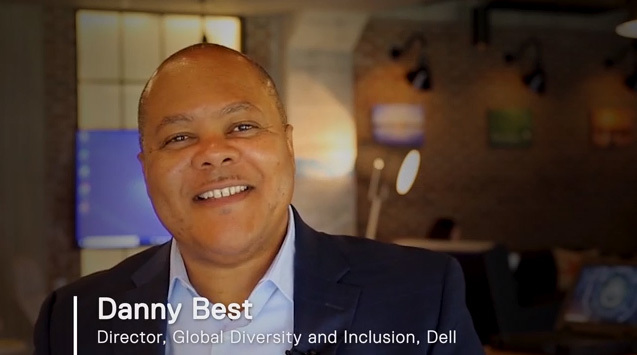 Dell Technologies is a unique family of businesses that provides the essential infrastructure for organizations to build their digital future, transform IT and protect their most important asset, information. The company services customers of all sizes across 180 countries – ranging from 98 percent of the Fortune 500 to individual consumers – with the industry's most comprehensive and innovative portfolio from the edge to the core to the cloud. Copyright © 2018 Dell Inc. or its subsidiaries. All Rights Reserved. Dell, Dell EMC and other trademarks are trademarks of Dell Inc. or its subsidiaries. Other trademarks may be trademarks of their respective owners.